At the Yelloh! Village Les Tropiques, you can finally enjoy exactly your sort of holiday! Active or contemplative, to the rhythm of the surrounding area or quiet and relaxing within the campsite... But one thing’s certain, your holiday is bound to be a great success at our campsite in Languedoc-Roussillon! 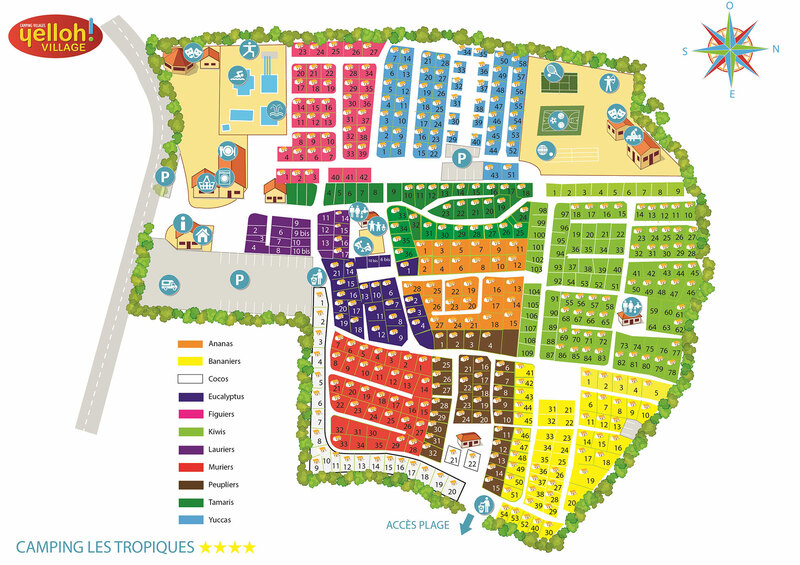 Over 9 hectares of nature and wooded parkland, a wonderful 500m² aquatic park, a wellness centre, entertainment for all the family, children’s clubs, top-of-the-range accommodation options... As we said, our campsite in the Pyrénées-Orientales offers everything you’ve been dreaming of! The Yelloh! Village Les Tropiques has joined the ranks of Yelloh! Village for the 2019 season. Languedoc-Roussillon with its good life, brilliant sunshine all year round, fine sand beaches and the warm tranquil waters of the Mediterranean... The camping Les Tropiques makes the ideal spot for a family stay to discover this exceptional and varied region in all its diversity! Our campsite at Torreilles offers the perfect opportunity to explore this pretty seaside town. Set on the shores of the sparkling blue Mediterranean, Torreilles is a gentle mix of mediaeval village and coastal resort. With its 4 kilometres of beaches, you’ll be spoilt for choice when deciding where to visit for your next seaside escapade. But don’t miss out on some of the other charming towns nearby. Catalan Perpignan, authentic Collioure, historical Carcassonne... Your campsite stay in Torreilles is set to be unforgettable! And if you need another reason to come and spend your holiday at the camping Les Tropiques, we can even offer two: its succulent gastronomy and its exceptional wines, what else!